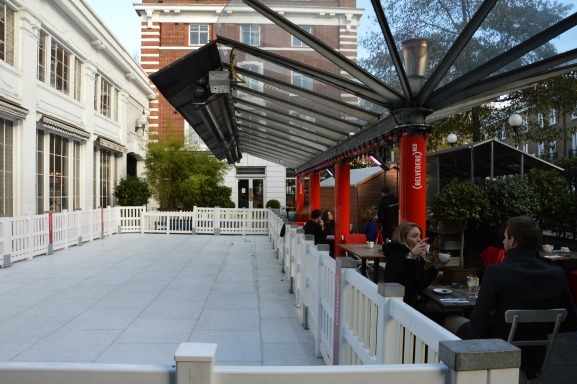 The newest ice rink in London is located right in the heart of Chelsea at the popular Bluebird on King’s Road. 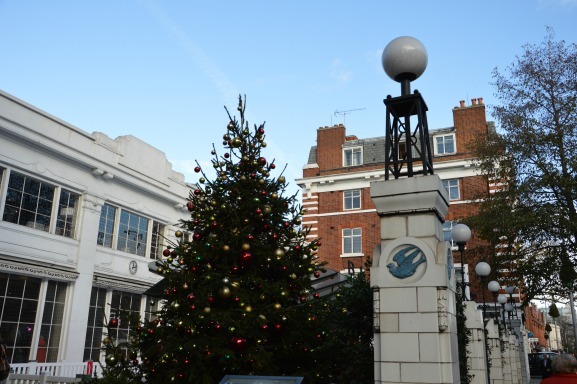 We’re thrilled that the Bluebird has brought ice skating to Chelsea along with a very festive setting for the holidays! Enjoy dining at the restaurant, cafe or even outside right by the ice rink, which I stopped by to check out recently just before it opened. 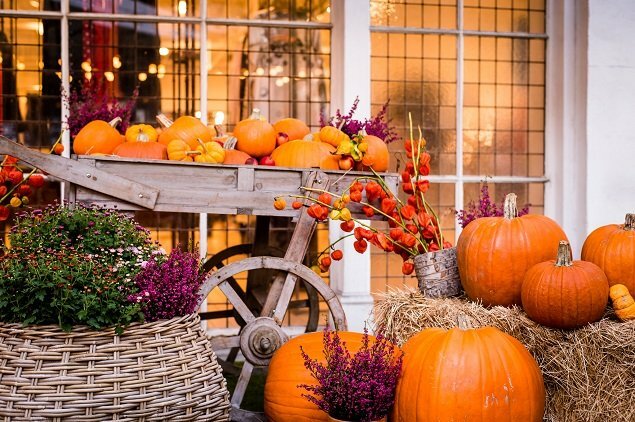 It’s not a large ice rink, but the setting sure is festive and fun! Take a twirl on the ice in Chelsea! 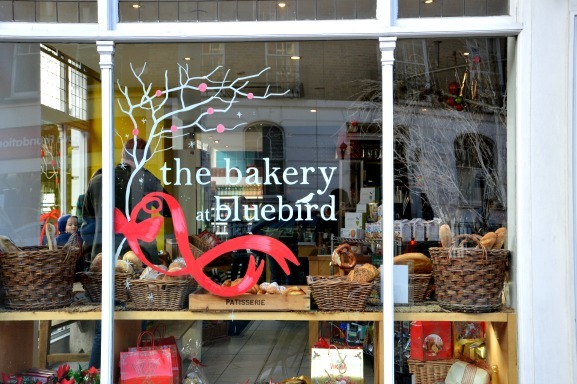 The Bluebird Bakery windows were painted with holiday designs and full of tempting breads, pastries and sweets. One of everything, please! This is a great spot to stop off on your way home if you’re staying at one of our Chelsea vacation rentals. We hope the ice rink will become a regular winter and holiday fixture in Chelsea each year. In the meantime, you can still take a spin on the ice until January 5th, 2014. 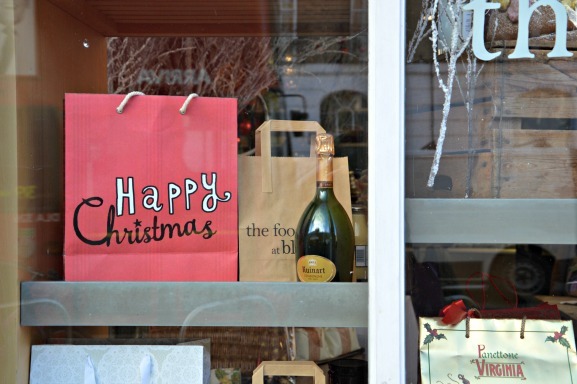 NEXT: Taste the New Year’s Eve Celebrations in London! Posted on Friday, December 27th, 2013 at 4:16 pm in See & Do. You can follow any responses to this entry through the RSS 2.0 feed. You can leave a response, or trackback from your own site.